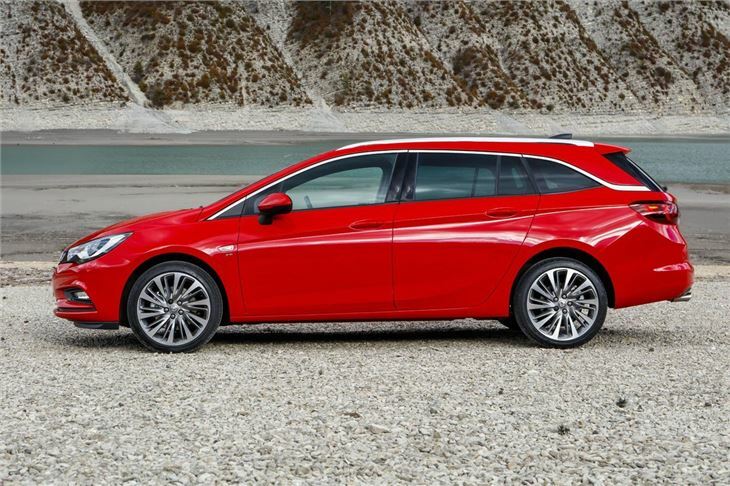 Same size as previous Astra Sport Tourer but with 80 litres more loadspace, up to date engines and latest in-car tech. Not as good to drive as its rivals. 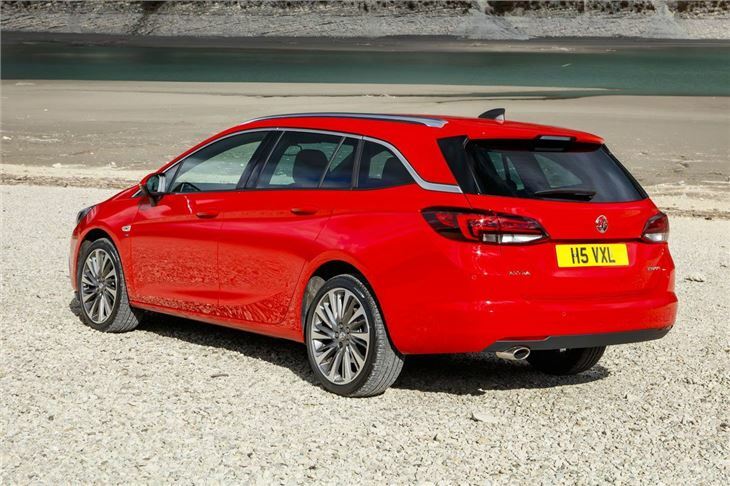 Like its hatchback stablemate, this Vauxhall Astra Sports Tourer is a big step forward over its predecessor. It boasts more space for your luggage, better looks, reduced weight and a lower price. It costs from around £16,500. But is Vauxhall’s new British-built model good enough to give rivals like the Volkswagen Golf Estate and the Ford Focus Estate a run for their money? On paper, it certainly has a lot going for it. It might be almost the same size as the model it replaces, but Vauxhall has manged to increase interior space. In fact, this car can take three child seats across the back. It also has 540 litres of luggage space with the seats up and 1630 litres with the seats up down. In fact, the Sports Tourer seems to have been designed with young families in mind. For the first time on a Vauxhall, the boot can be opened by sweeping your foot under the rear bumper – ideal for those moments when you’ve got your hands full with shopping, sleeping children, or your priceless vinyl collection. Even better, the estate’s load area is devoid of any silliness. There are no wraparound lights that eat into the load space or trick rear suspension turrets that compromise the load bay. It’s just a good, old-fashioned, fuss-free square space. 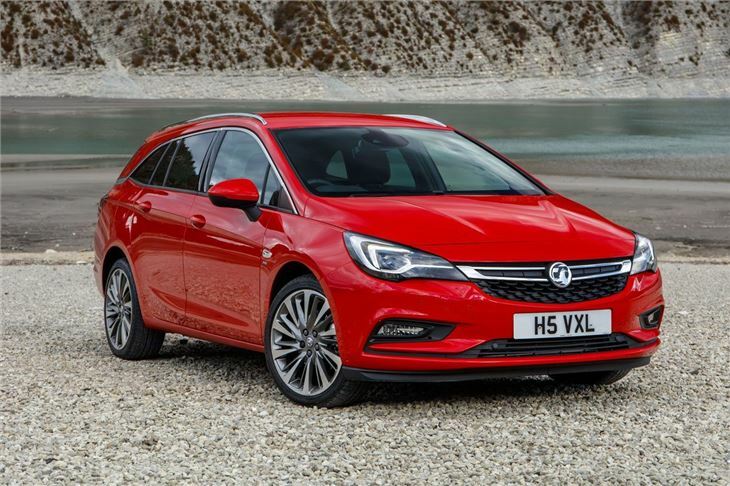 Making its debut in the Sports Tourer is Vauxhall’s new 1.6-litre BiTurbo diesel engine. With 160PS and 350Nm of torque, it’s got plenty of poke. Even better, it can achieve up to a claimed 67.3mpg and emits 112g/km of CO2. Like the rest of the car, it’s competent – but it won’t set your heart alight. Behind the wheel, this Astra lacks the sense of driving enjoyment offered by the Focus, or the sense of quality offered by the Golf (although in both departments it is well ahead of the outgoing Astra). There’s plenty of engine choices and also plenty of trim levels to choose from. Even driver’s on a budget won’t feel too hard done by. The basic Design model gets alloy wheels, Bluetooth, air-con, cruise control, a tyre-pressure monitoring system, LED daytime running lights and automatic lights. Overall, Vauxhall has managed to close the gap between the Astra and its main rivals. And in some cases, it’s even overtaken them. But competition is fierce in this market and while Vauxhall might benchmark Ford and Volkswagen, smart buyers will be comparing it to the SEAT Leon and the Skoda Octavia. And those are both better options.